On December 26th 2018, Japan announced it will leave the IWC and return to commercial whaling in July 2019. Japan announced that the whalers intend to hunt minke, Bryde's and sei whales when resuming commercial whaling It is not yet clear how many whales of each species will be killed per season. On 26 December 2018, the Japanese government announced its withdrawal from the International Whaling Commission (IWC – the body that regulates whaling) in order to officially resume commercial whaling operations in Japanese waters. The intention is to stop the so-called research whaling’ operations in the high seas of Antarctica and the North Pacific and instead concentrate on hunting sei, minke and Bryde’s whales in Japan’s coastal waters and offshore, but no further than the line of the 200-mile Exclusive Economic Zone (EEZ). By abandoning whaling in the Southern Ocean Whale Sanctuary and the high seas and moving whaling to their EEZ, the Japanese government is hoping to escape the criticism and diplomatic difficulties it has faced in the past. By leaving the IWC, they are hoping to realise their long term plan of resuming commercial whaling without international interference. The whaling interests are contrary to the interests of the wider Japanese public and driven only by a small but influential group of politicians and whaling industry stakeholders. Until now, Japan's whalers exploited a loophole in International Whaling Commission (IWC), rules, which allows whaling for 'scientific research'. They’ve done this for decades, despite a 2014 order from the UN's International Court of Justice ordering Japan to stop its whaling programme in Antarctica! Japanese whalers resumed hunting in Antarctica in the 2015/16 season, declaring itself exempt from the jurisdiction of the UN ‘s highest court, with respect to issues of ‘living resources of the sea’. They then came up with a new name for the whaling programme and continued with the slaughter in the Southern Ocean. In addition, the whalers have a similar programme in the coastal waters off Japan and the North Pacific. Japanese whalers also undertake hunts of dolphins such as those at Taiji, which are not subject to IWC rules. The Japanese government has clearly and repeatedly stated that they want a return to commercial whaling, despite the opposition of most of the world’s countries and a shrinking market. On December 26th 2018, Japan announced it would resume commercial whaling July 2019. Japan's Antarctic whaling programme was declared illegal by the UN Court of Justice on 31st March 2014. Figures from Japan's whaling expedition to Antarctica during 2017/18 reveal that 122 out of the 181 female minke whales killed were pregnant. Japanese whalers continue to hunt Minke, Bryde´s and Sei whale in the North Pacific. Until its recent announcement Japan used the loophole of so-called 'scientific whaling' to side step the IWC ban . . . and the meat is sold on the open market. Japan uses development aid as an incentive for countries to join the IWC and vote in its favour. In recent years margins have been squeezed and there have been reports of unsold meat and retailers cutting prices to ’get it off their shelves’. The Japanese government subsidises whaling to the tune of nearly US$10 million per year. Japanese large scale, industrial whaling is a relatively new phenomenon, starting after World War II when animal protein was in short supply. Whilst current whaling is a far cry from pre ban days, it is still significant and continuing with an ever present threat of being transformed back into commercial whaling. This is something WDC fight continuously to prevent, so far successfully. Japanese whalers hunt in Antarctica where they target minke whales (including hunting inside the Southern Ocean Whale Sanctuary) and the North pacific where the harpoons are focused on sei and minke whales. In the 2017/2018 season they took 333 minke whales in the Southern Ocean. 85 minke whales in their coastal waters and 134 sei and 43 minke whales in the North Pacific. Japan allocates annual research quotas for 127 minke whales in coastal hunts, along with 134 sei and 43 minke whales in the North Pacific hunts. 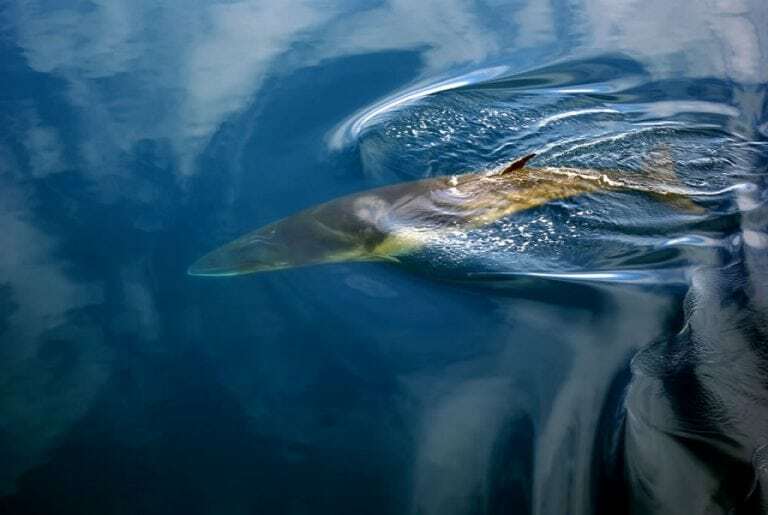 The whalers also have a yearly quota of 333 Antarctic minke whales for the Southern Ocean. The IWC moratorium on commercial whaling of all great whales came into effect in 1986. Japan, along with Norway and the USSR, immediately lodged a legal objection, exempting them from the ban. Japan took over 5,500 whales ‘under objection’ in the first three years of the ban, but was persuaded through political pressure to remove the objection in full by 1988. It is therefore now bound by the ban on commercial whaling. However, Article VIII of the IWC’s founding treaty, permits countries to issue ‘special permits’ for scientific research. To avoid wastage, the Article states: “Any whales taken under these special permits shall… be processed and the proceeds shall be dealt with in accordance with directions issued by the Government”. In effect this means the whales caught for scientific research, can be sold. Of course, the provision was never intended to allow for large scale lethal research for commercial use, but several countries have exploited Article VIII to either avoid the ban or to ‘top up’ quotas. This is a monumental loophole, but, unfortuntately the IWC cannot close it without amending the treaty itself. The IWC has adopted over 40 resolutions denying the necessity of scientific whaling and calling upon Japan and other nations to stop taking whales in this way. However, these resolutions are non-binding and the whalers have simply ignored them. Japan started Scientific Whaling in 1988 as soon as its objection was fully withdrawn. 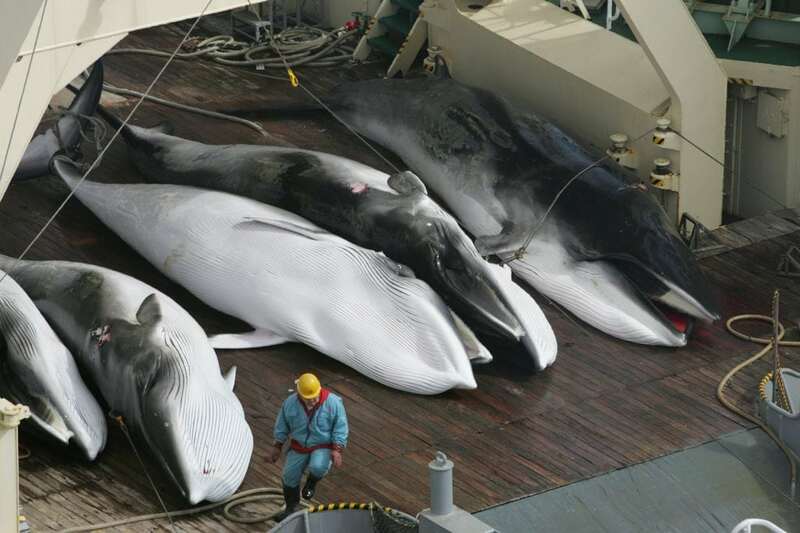 Then, having killed an average of 1,800 whales a year from four species under objection, Japan’s scientific whaling focused on just one species – southern hemisphere minke whales; catching an average of 308 annually for the next six years. In 1994, the IWC declared the Southern Ocean a sanctuary for whales, banning whaling there. Japan, however, did not stop its Antarctic hunts and lodged an objection to the sanctuary, exempting its whalers from the ban. That same year, Japanese whalers started a scientific whaling programme in the North Pacific, taking up to 100 minke whales a year in JARPN (Japanese Research Programme in the Pacific). In 2000, Japan increased its Pacific operation again, adding permits for 50 Bryde’s whales and 10 sperm whales. In 2002, it increased the North Pacific minke quota to 150 and added 50 sei whales. This increased again the following year to 160 minkes and 100 sei whales. The next increase came when the original 18-year research permit for the Antarctic hunt expired in 2005 and JARPA II (Japanese Research Programme in the Antarctic) was developed. JARPA II proposed to kill up to 935 Antarctic minke whales (more than double the previous number), 50 humpback whales and 50 fin whales a year for 16 years. 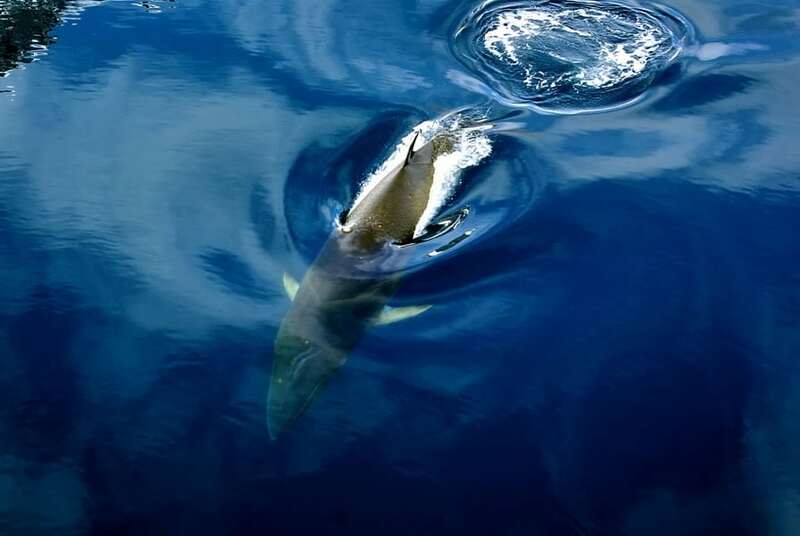 The full programme commenced in late 2007 following a 2-year ‘feasibility study which began in late 2005 in which 935 minkes and ten fin whales were targeted annually. The IWC requires the review of Scientific Permits by its Scientific Committee. However, this is far from independent. The reviewers include the authors of the permit, including researchers at the Institute of Cetacean Research (ICR), which oversees the hunts and conducts the ‘research’. This is a clear conflict of interest since the ICR sells the meat from the hunts and benefits financially from increases in the programme. The 1982 moratorium decision resulted in - officially – an end to commercial whaling of large whales in 1985/86. Japan claimed in 1986 to have four ‘Small Type Coastal Whaling’ communities, at Monbetsu-Abashiri and Kushro in Hokkaido, and Ayukawa, in Miyagi Prefecture, and Taiji. Today Japan claims that the four communities are Abashiri, Ayukawa, Wada and Taiji. For years, Japan has falsely claimed that these towns have a longstanding history of, and dependence on, hunting minke whales in coastal waters – a type of whaling characterized by the use of small boats (under 50 tons), hunting small whales on day trips. Japan also claims that the IWC’s ban on minke whaling caused cultural disintegration and financial hardship in these towns; and that only the IWC could alleviate their problems, by allowing them to conduct a minke whaling operation in their coastal waters. 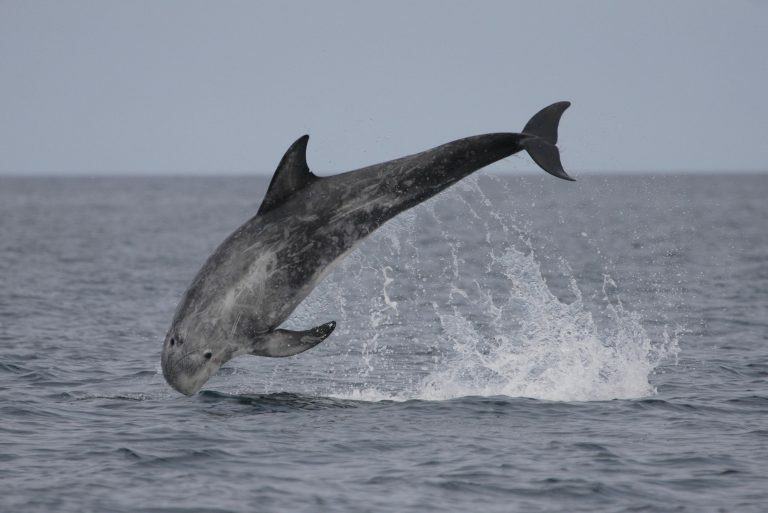 Current ‘STCW’ takes Baird’s Beaked Whales, Risso’s dolphins and pilot whales. Whaling has certainly not stopped! In 2014, Japan submitted “IWC/65/09 Proposal and background for schedule amendment to permit the catching of minke whales from the Okhotsk Sea-West Pacific stock by small-type coastal whaling vessels”, which was defeated. For the 2016 meeting Japan didn't submit a new proposal but instead submitted a "discussion document" on a way forward for the IWC in the hope to facilitate its ambitions to overturn the moratorium and bring back commercial whaling. Japan is eager to make this discussion a central topic at the 2018 meeting of the IWC. In fact, Japanese officials intend to submit a document asking for the resumption of commercial whaling, for species they consider stable and abundant. The Japanese government issues research permits to the Institute of Cetacean Research (ICR) which, in turn, contracts a single company, Kyodo Senpaku, to provide the vessels and crew. The ICR releases the products from the hunts twice a year to Kyodo Senpaku to sell at a price fixed by the ICR and Ministry of Fisheries to wholesalers, processors and local authorities. The primary purpose is to cover the costs of whaling and research, and although recent market conditions are taken into account, in recent years ICR has set prices rather high relative to demand. Low profits from the sale of whale meat are not sufficient to cover the ‘scientific’ whaling. Since the ICR is dependent on sales as its main source of income, this negative trend makes it difficult for the ‘scientific research’ programmes to continue without relying on government subsidies. As a result high subsidies are required to maintain the hunts. These subsidies have increased as the hunts have expanded. Overall, the Japanese government currently subsidises whaling to the tune of nearly US$10 million per year. Between 1987 and 2012, the Japanese government spent a minimum of US$ 378.7 million subsidising whaling. Despite these subsidies, whaling operations continue to operate at a loss. To be really clear: whaling as it is, is unviable. Shockingly, the whaling industry is seeking even more financial assistance. One of these additional subsidies came from the Relief Fund to help reconstruct areas of Japan devastated after the 2011 earthquake and tsunami, and was used in regions that were not located within the disaster zone, a decision that has been widely criticised from within Japan. In order to get what it wants at the IWC, the Japanese govt. has recruited a number of developing countries with no genuine interest in whaling to join the IWC and vote in its favour. Currently some of these countries no longer respond to Japan's interests. Officials in Japan and some target countries acknowledge publicly and privately that Japan uses development aid as an incentive to join the IWC and vote in its favour. With the accession of Cambodia as the 70th IWC member just before the IWC meeting in the Caribbean in June 2006, the balance of power previously held by the anti-whaling nations finally tipped and the pro-whaling countries held over 50% of the votes. They wasted no time adopting the St Kitts declaration, which included the statement that the moratorium “is no longer required”. The membership of the IWC has continued to grow; there are currently 88 members, divided between those in favour of whaling and those against. Under current rules overturning the moratorium would take a three quarters majority vote of the IWC. The pro-whaling nations do not have that power, but the risk remains that a deal will be brokered to exchange the moratorium for some concessions by Japan on its scientific whaling and to rescue the IWC from a hostile takeover. WDC has opposed all of the deals proposed in recent years. As long as the right to conduct Scientific Whaling remains in the treaty, there is no incentive for Japan to comply, nor is there a mechanism to force it to. Furthermore, if whaling resumes, it is likely that CITES (the Convention on International Trade in Endangered Species of Wild Fauna and Flora), which bans international commercial trade in whale products in deference to the IWC, will permit trade to resume. Whatever happens, both history and current practice show that whaling can never be sustainable, controllable or humane. In addition, Japan has also been working on new applications for whale products. This is detailed in the WDC Reports "Reinventing the Whale" and “Whale for Sale”. There is the misconception that Japanese people have been eating whale meat for thousands of years, and that they have a whale-eating culture. In fact, eating whale meat only became commonplace after WWII. Post WWII whale meat made up 46% of total meat consumption. It then declined rapidly, becoming more of a speciality food and nowadays makes up 2% of all meat consumed in Japan. This is so low that it isn’t considered a major food in the country’s largest cities. On average a Japanese person eats just 23.7 g of whale meat per year; that is equivalent to the weight of just 6.5 UK pennies. Opinion polls have found that up to 95% of Japanese people very rarely or never ate whale meat, and that 26% of Japanese people are against the resumption of commercial whaling. Those that do support commercial whaling said they would only support it if it was properly regulated. Significantly, over 90% of all those surveyed were unaware that the Japanese government subsidises the ‘scientific’ whaling programme and to what extent. Over 80% of respondents were also unaware that the whaling is conducted within the Southern Ocean Whale Sanctuary in Antarctica, a designated protected area for whales. The majority said that Japan should not conduct whaling in the high seas. Even of those who support whaling and eat whale meat, 86.6% oppose the use of taxpayer funds to subsidise it.